Everybody dreams about being their own boss. However, it’s not always as glamorous as it sounds. Without a solid plan or the right tools in place, your self-determined future can start losing focus and turn into too much time spent web-surfing and watching afternoon TV — and not enough of your career. Successful freelancing requires as much discipline and organization as it does talent (maybe even more). So get schooled in ways top freelancers manage their careers with the Professional Freelancing Mastery Bundle. Right now, you can get the full course for just $29 (an over 90 percent discount off its regular price) from TNW Deals. 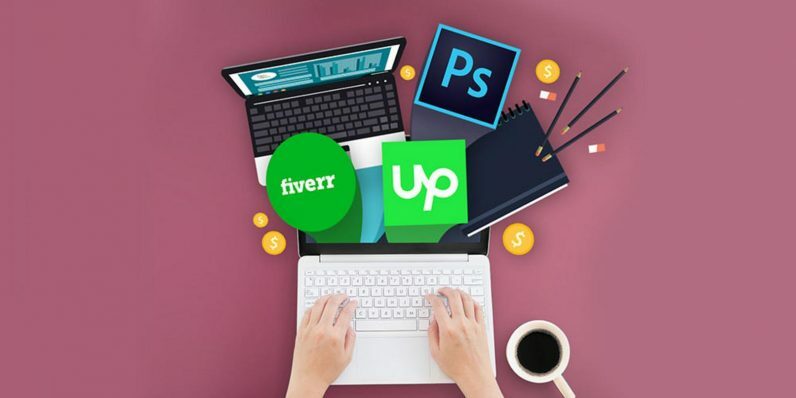 Freelancing With YouTube, WordPress, Upwork, and Fiverr (a $199 value): Start getting online work by using four major web resources. The Complete Fiverr Course: Beginner To Top Rated Seller (a $199 value): Use an instructive case study of an elite Fiverr buyer how the best sellers land employes. Freelance Kickstart: Start a Successful Business You Love (a $199 value): Here’s the blueprint for starting your own freelance career or even just a side hustle. Freelance Wealth Kit: Get Started Freelancing (a $199 value): This course will have you thinking like a business vet as you approach your freelancing career. Mobile Video & Audio Production For Freelancers (a $199 value): Create high quality videos with low cost materials and bolster your hireability. Photoshop: Real World Hands-On Freelance Mastery (a $199 value): Want to be a graphic or web design pro? Here’s what you need to know to break in. Working From Home (a $199 value): Companies like IBM, CVS Caremark, and Time Warner Cable are embracing work-from-home employees…find out why here. How To Win Jobs Freelancing On UpWork (a $199 value): Understand how to market yourself on UpWork, one of the top freelancing sites in the world. Freelance Success For Artists: A Quick And Easy Guide (a $199 value): Use the right tools to build your portfolio, reputation, experience, and income. 10 Perfect Lead Magnet Ideas For Freelancers (a $199 value): How do you generate leads that turn into paying clients? This course tells you how. Fiverr: Start A Profitable Fiverr Freelance Business Today (a $199 value): Identify your bankable skills, then get to making some side cash as a Fiverr freelancer. All together, these 11 courses would run almost $2,200, but with this limited time offer, you can get all this freelancing knowledge for only $29.